getting acquainted with our beautiful women! Odessa, Ukraine, which is renowned as the Pearl of the Black Sea, is the third most populous city in the land of Ukraine. It was labeled as the Pearl of the Black Sea because it is located at the Black Sea coast itself in the southern hemisphere of Ukraine. Basically, it is the largest city along the entire Black Sea coast. Odessa is a beautiful city with alluring biodiversity, scenic boulevards and breathtaking beaches. Given that it has a highly-cultivated culture, it holds a special place in the hearts of Ukrainian people. A simple visit in the said city will be more enticing compared to a visit in any other city. Guaranteed, it will be worthwhile. Odessa itself is highly-rich in Western European culture, thus making its people take pride in their most-loved nation. Throughout the world, Odessa, Ukraine has been known because of its distinctive arts and culture. 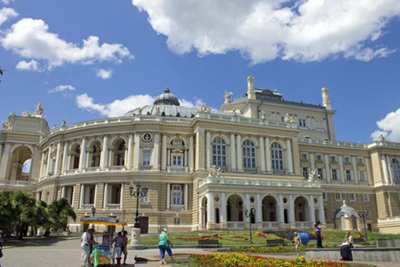 One of the things that made Odessa’s name a talking point to every neighboring nation is because of its opera house which is considered as the second most beautiful and important in the whole world. Proudly, the city of Odessa is a cosmopolitan locale with at least 150,000 tourists each year from across the globe. The city has beaches with sandy shores which tourists from all over the world can relax along while savoring the young city eternally. Its coast is edging with popular beaches that would surely capture your heart. These beaches won’t just make vacationers feel relaxed but allow each of them to feel like they are in some Mediterranean beach---these beaches are all filled with beautiful single Odessa girls, music, booze, and tasty food. Undoubtedly, Odessa is a city where you can make the best out of it. It is one of the most exemplary places to drop by and to have a romantic yet adventurous date with your Ukrainian girl. Pay a visit to Odessa now with the thought of finding true love among good-looking Ukraine ladies. Get to discover more about Odessa: its distinct culture, tradition and profound history as you read through the contents below and browse the site. In prehistoric and early historical times, Odessa was the home of various people and tribes. Among them are the Cimmerians, Scythians, Sarmatians and Greeks. Due to its geographical location, Catherine II decided to develop the town into a large port and trade center. 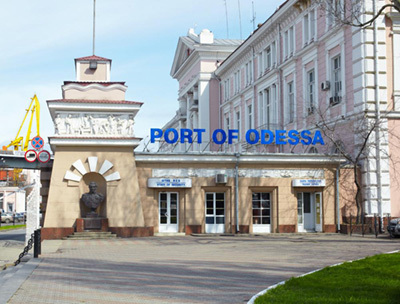 The city of Odessa is technically a major port, a commercial place, an administrative center, and a transportation terminal with a refined cultural background in the Black Sea. Its territory was once occupied by an ancient Greek colony and was said to be founded by Catherine II with the same grounds of establishing an enormous seaport, securing southern borders of the Russian empire. Over the years, Odessa was indeed able to bring into completion Her Majesty’s expectations of making it as the biggest and richest port in the Russian empire as it is in the present. Around 1905, Odessa was just simply a site of workers’ rebellion which is supported by the crew of the Russian battleship Potemkin and Lenin’s Iskra. The History of Odessa includes Eisenstein; Sergei’s most famous motion picture The Battleship Potemkin pay tribute to the revolt which also included a scene where hundreds of Odessan citizens were murdered on the well-known Great Stone Staircase (now popularly known as the “Potemkin Steps”). It was considered as one of the most famous scenes in motion picture history. You may assume that this city has somehow an ancient settlement but it has actually been around for over 200 years, with quite a modern yet classic vibe in it. It is where you can find the largest port in Ukraine which had helped the city progress through time. Up until present, the city’s seaport is still considered of great importance to the economic inclination of both Odessa and Ukraine themselves. Fall in love with Odessa, Ukraine and its stunning women! At this moment in time, Odessa, Ukraine is a city known for its nightlife with more than one million people. Unlike Moscow and Kiev, Odessa is a comparatively small city where its nightlife attractions can be easily accessed. Not just that, the city itself has always been proud of its numerous multinational cuisine which prompted it to be tagged as a great city. Its industries also include shipbuilding, oil refining, chemicals, metalworking and food processing. Moreover, it is also the home of a fishing fleet and a naval base in Ukraine. Other than that, it is also renowned for its massive outdoor market, the Seventh-Kilometre Market, and it’s the largest market of its kind in the entire Europe. In fact, it is considered as one of the biggest tourist destinations in the country of Ukraine, from its beautiful scenic places to its mouthwatering food. Odessans have been so famous for their cleverness and sharp-witted trading capabilities. What most out-of-towners like in the city are the 200 steps of Potemkin’s stairway, the maritime railways, sandy beaches, shops, restaurants, countless new structures, and most especially their unusual classic architectures of the old town. Odessa’s populace managed to preserve its fascinating legacy. If you are looking for a romantic setting, Odessan restaurants are prominent options that can provide you with an intimate and serene dining. Adding up, its special coffee and American style menus also banner themselves up in terms of business dinners and romantic interludes. A date with your girl is expected to be a meaningful one. Do not just fall in love with its gorgeous women, but with the town itself also. Register now for free so you will be able to meet Odessa women and date the woman of your choice at Odessa Women singles tours. See for yourself how beautiful it is as a city!